Satisfy your inner culture vulture at Alcatraz Island and City Lights Booksellers. Exploratorium and Cable Car Museum will appeal to museum buffs. And it doesn't end there: browse the different shops at Ferry Building Marketplace, take in the views from Golden Gate Bridge, hunt for treasures at Ferry Plaza Farmers Market, and shop like a local with Union Square. To find other places to visit, ratings, reviews, and tourist information, read San Francisco trip itinerary maker site . Seattle to San Francisco is an approximately 4.5-hour flight. You can also do a combination of flight and train; or drive. While traveling from Seattle, expect somewhat warmer days and about the same nights in San Francisco, ranging from highs of 67°F to lows of 51°F. Wrap up your sightseeing on the 7th (Sun) to allow time to travel to Los Angeles. 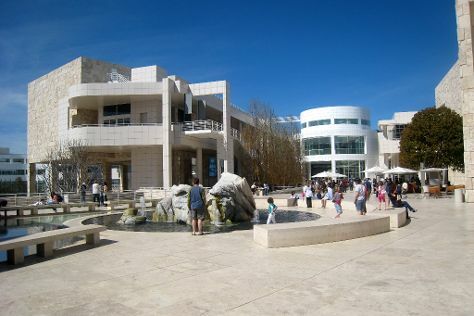 Museum-lovers will get to explore The Getty Center and Los Angeles County Museum of Art. Get a sense of the local culture at Hammer Museum and Montana Avenue. There's lots more to do: look and learn at Griffith Observatory, appreciate the extensive heritage of Santa Monica Pier, buy something for everyone on your list at The Grove, and explore the world behind art at Craft & Folk Art Museum. To see reviews, other places to visit, photos, and tourist information, read Los Angeles tour planner . You can fly from San Francisco to Los Angeles in 4 hours. Other options are to do a combination of train and flight; or drive. Traveling from San Francisco in April, you will find days in Los Angeles are somewhat warmer (75°F), and nights are about the same (56°F). Wrap up your sightseeing on the 10th (Wed) to allow time to drive to San Diego. Kick off your visit on the 11th (Thu): see the interesting displays at Maritime Museum of San Diego and then hike along Torrey Pines State Natural Reserve. Here are some ideas for day two: examine the collection at USS Midway Museum and then stroll through La Jolla Cove. For other places to visit, traveler tips, and tourist information, go to the San Diego road trip planner. Traveling by car from Los Angeles to San Diego takes 2.5 hours. Alternatively, you can take a bus; or fly. In April, plan for daily highs up to 71°F, and evening lows to 58°F. Cap off your sightseeing on the 12th (Fri) early enough to travel to Phoenix. Phoenix is the capital and most populous city of the U.S. On the 13th (Sat), examine the collection at Musical Instrument Museum, then get a taste of the local shopping with Elan Wollitzer Gallery, and then take in nature's colorful creations at Desert Botanical Garden. For maps, more things to do, and other tourist information, go to the Phoenix trip itinerary builder website . You can fly from San Diego to Phoenix in 3.5 hours. Other options are to drive; or take a bus. You'll lose 1 hour traveling from San Diego to Phoenix due to the time zone difference. When traveling from San Diego in April, plan for somewhat warmer days in Phoenix, with highs around 88°F, while nights are about the same with lows around 62°F. 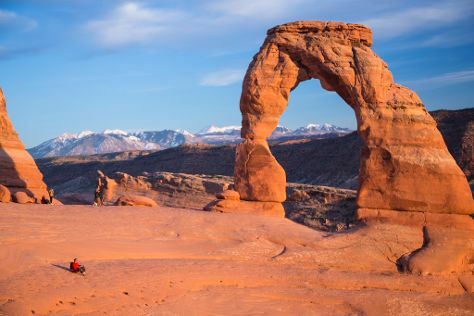 Wrap up your sightseeing on the 13th (Sat) early enough to travel to Moab. Kick off your visit on the 14th (Sun): take your sightseeing to a higher altitude at Arches National Park. For more things to do, maps, and tourist information, refer to the Moab online route planner . You can do a combination of flight and car from Phoenix to Moab in 5 hours. Alternatively, you can fly; or drive. Expect colder temperatures when traveling from Phoenix in April; daily highs in Moab reach 67°F and lows reach 38°F. Finish your sightseeing early on the 14th (Sun) to allow enough time to travel back home.